Austin and his wife Rachel have been missionaries with Envision since 2015. 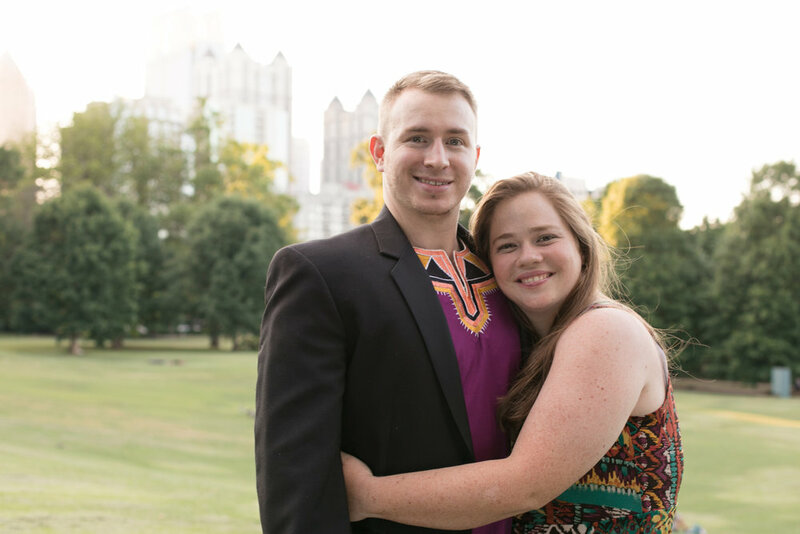 They first served at the Burkina Faso site in Africa and then transferred to Atlanta in the summer of 2017. While in Africa the helped host teams and ministered in the bush country. Austin has a heart for the Fulani people of west Africa, one of the largest unreached people groups in the would. Austin is working on his masters degree and also working towards ordination with the Christian and Missionary Aliance. What do you miss the most about Africa? I miss drilling wells and onion sauce. What is your favorite food? My favorite food? I don't understand the question, Steak with more Steak obviously. What is something small a person could gift you to show appreciation? An old book written by a dead guy, preferably a theologian. How can people follow you and your work? Team Keeler Under the City Lights on Facebook, and you can email teamkeeler14@gmail.com and ask to join our mailing list.